Lampascioni. Similar in appearance to button onions, they are actually the edible bulb of a wildflower, usually called grape (or tassel) hyacinth, which is found in the wild in south-east Europe (southern Italy, Greece, Turkey) and Iran. 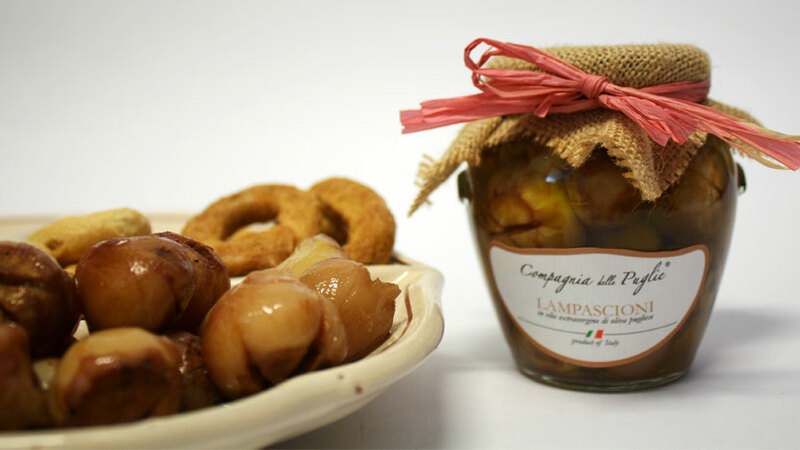 The cleaned bulbs - boiled, pickled and preserved in extra-virgin olive oil - are a true culinary delicacy very typical to Puglia, almost unknown anywhere else in Italy.